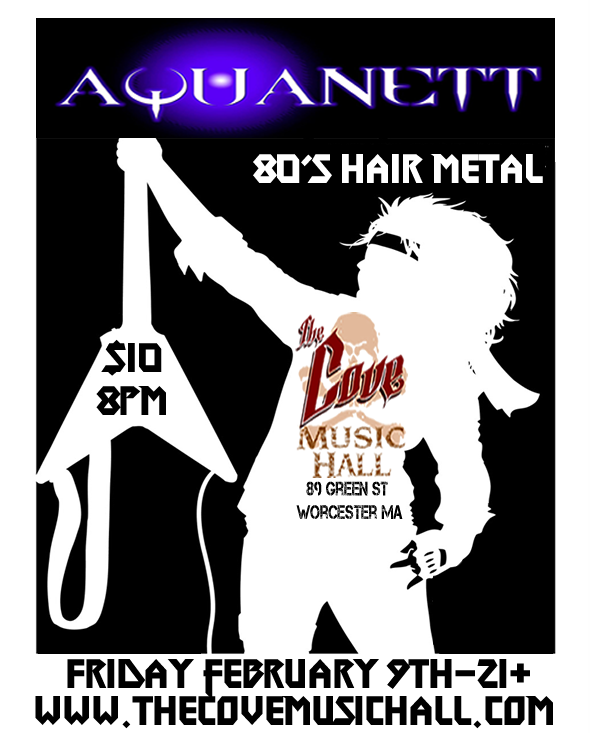 Aquanett has been labeled "New England's most authentic tribute to the 80's." Their look, authentic sound to the original artists and dedication to their fans have been keeping people coming out again and again for over a decade. Aquanett covers bands from Ozzy to Metallica, Bon Jovi to Poison. The seasoned group of musicians that call themselves Aquanett consists of Tina Valenti, Lead Vocals; Rick Thompson, Keyboards/vocals; Dave Ward, Guitar; Michael Abdow, Guitar/vocals; Matthew Macri, Bass guitar/vocals; and Edmond H. Dupont III, Drums.